Get golf driving tips while you rest! Get golf driving tips with golf instruction while you close your eyes and rest! With this hypnosis based golf training aid you get to lay back, close your eyes and simply relax. It’s the easiest way to improve your tee shot, and feels great too. This session provides more value than simply golf driving tips or a swing trainer, as it enables and trains you to take control of your mind and body when stepping up to the tee. With proven results when combined with regular games you can get the most out of yourself on the golf course, and start it now. Take control of your tee shots today and enjoy this hypnosis golf instruction session. 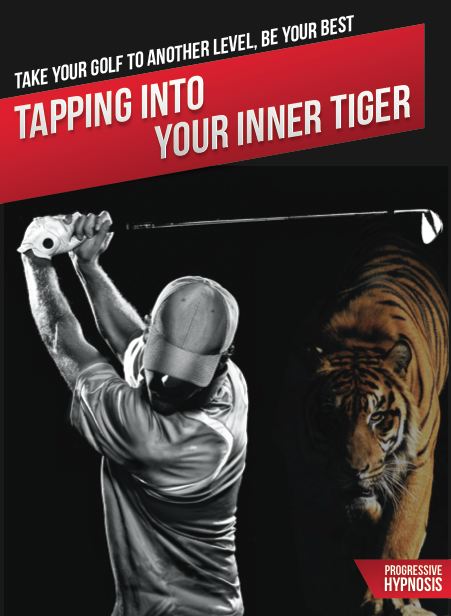 It is the ultimate golf driving tip from the Tapping Into Your Inner Tiger golf performance improvement program. Available as a stand alone golf training aid or as part of the complete set. This hypnosis session is on driving off the tee and trains you to calm the mind and body when approaching the tee. When you’re in the ideal mental state you can get the most out of your golf swing. This means you hit more consistently off the tee, playing closer to your potential more often. With golf driving tips that have proven results this session instructs the listener while they enjoy a peaceful hypnotic state of deep relaxation. Allowing you to receive valuable golf instruction while literally laying down.